Keep up to date with all thats going on in Sucina with S.O.S. This page will keep you up to date with the fiestas, what is going on in the local bar's, restaurant, and Golf comps. These posts are not nessary in date order of the event happing, but the date it was added, so please scroll down. Friday 8th July: Live music in the village square with Tina Turna tribute Starting 10pm?? ?, Spainish time!!. Free bus shuttle from Haciend Riquelme. Disco at A Granel, 8-12. 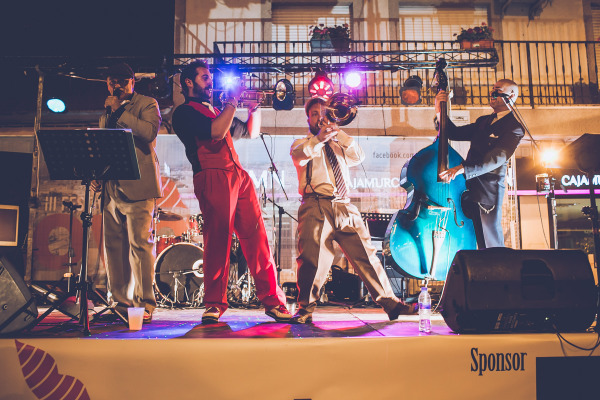 From 1st July, I Love Sucina music festival: Live music in the village square every Friday and Saturday night. Starting 10pm?? ?, Spainish time!!. Free bus shuttle from Haciend Riquelme. Weekend of 1st July, at Franc and Louise bar: All Euro quater Finals at 9pm being show. Weekend of 25th June, at Franc and Louise bar, and A Granel, Sucina: All the home nations games and Ireland will be shown. Weekend of 9th June, at Franc and Louise bar, Sucina; All live Euro games shown. Sat June 4th at Carols Bar, Sucina: Back 2 School Disco! Fancy dress is optional so if you fancy getting together with your friends then come along to what we are sure will be another fun and nostalgic evening. DJ Gav will be spinning tunes that will take you back to your teenage years plus tunes from the 80's 90;s and present day!